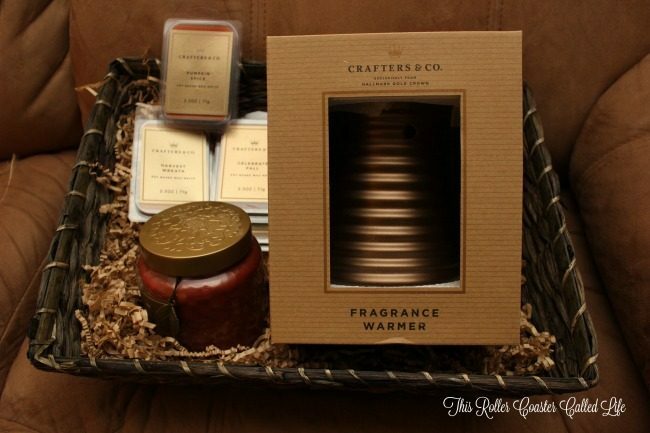 The Scent of Fall with Crafters & Co. I LOVE the scents of fall! With pumpkin spice everywhere, it was only a matter of time before I could bring that yummy scent into my house without having to stop at Starbucks for a latte. Hallmark sent me a few fall-scented Crafters & Co. products to put my house in the fall spirit! My daughter hovered around, anxious to see what was in the box I received. She was as thrilled as I was as we pulled out this fall-inspired basket. We couldn’t wait to smell each scent included in the basket. We started with the Celebrate Fall 16 oz. candle. The official description of the scent is as follows: “The enticing aroma of buttery pastry topped with ripe, freshly sliced apples, sweet brown sugar, cinnamon and rich caramel.” My description? It smells like a fall trip to our local orchard store with the smell of apples and baking. This 16 oz. candle has 2 wicks and burns up to 55 hours (no I haven’t tested the time). 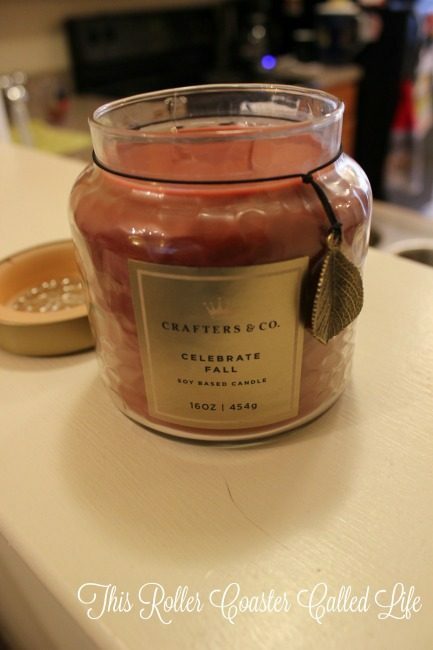 Crafters & Co. makes the following recommendations: Keep your wicks trimmed (1/8 inch is optimal), burn in a draft free area and on a heat resistant surface, and let a wax pool form, covering the entire surface area every time you burn the candle. This soy-based candle is poured in America. 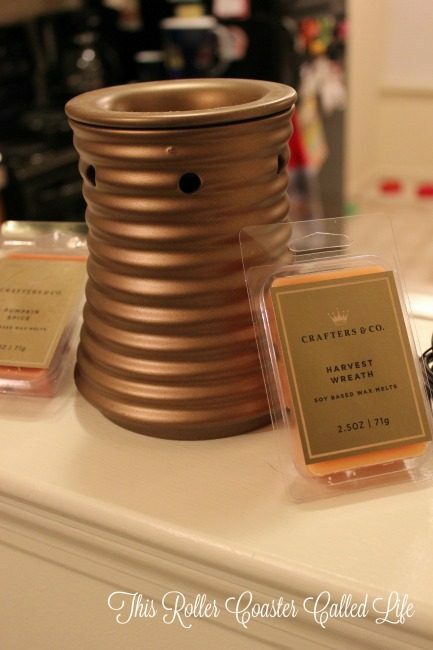 My favorite part of this package is the Weathered Bronze Flair Fragrance Warmer! I love how pretty it is. It uses 1-3 fragrance melts at a time, and it melts very quickly and thoroughly. With this warmer, I received some fragrance melts packs with 6 fragrance melts in each pack. I received 3 different fall-inspired scents: Celebrate Fall (same scent as the candle above), Harvest Wreath (“Autumn’s bounty – a cornucopia of fall spices mixed with vanilla, brown sugar and cinnamon”), and Pumpkin Spice (“A delicious, sweet aromatic blend of pumpkin puree, cinnamon, nutmeg and caramel create a seasonal delight”). After taking stock of what all arrived in my box, I set up the Weathered Bronze Flair Fragrance Warmer and popped in some Pumpkin Spice fragrance melts. I turned it on and waited for the wonderful fall scent to waft through the house. I was not disappointed! However, it wasn’t long before it was time to turn everything off for the night. I noticed when I picked things up that the warmer did feel quite warm on the shelf. It was warmer than what I thought it would be, so if you look at the top picture in this post, you will see that I now use a trivet under the warmer to keep the counter from getting too hot. I’m definitely loving the candle/fragrance melt scents as they signal the close of summer, beginning of fall, and the holidays that will be here soon. This is my favorite time of the year, and I love having the house smell like the season! 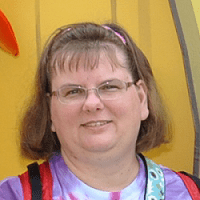 Hallmark has offered to give one of my readers a Crafters & Co. “Celebrate Fall” 16oz Jar Candle. Read to enter? Read the rules below and enter via the Rafflecopter widget. Rules: Giveaway starts at 11:01 am Eastern on October 16, 2016 and ends at 11:59 pm on October 31, 2016. Open to U.S. residents 18 years old and older. Shipping to U.S. only. No purchase is necessary to win. Void where prohibited. Odds of winning depend on the number of entries collected. The winner will be chosen by the Rafflecopter widget and will have 48 hours to respond after being contacted by email. Please make sure to use a valid email address. Facebook, Twitter, Pinterest, and Google+ do not endorse this, nor sponsor this giveaway. Nor are Facebook, Twitter, Pinterest, or Google+ affiliated with this giveaway in any way. This Roller Coaster Called Life is not responsible for prize fulfillment. Disclosure: Hallmark sent me the products above for my review. All opinions are my own. 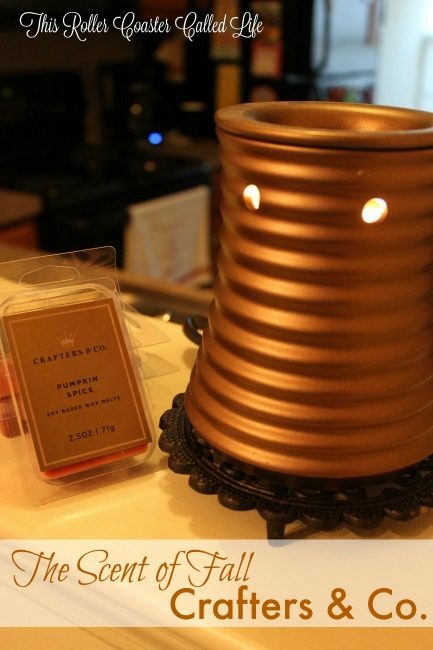 The Weathered Bronze Flair Fragrance Warmer is so pretty. I would love to have one in my house.